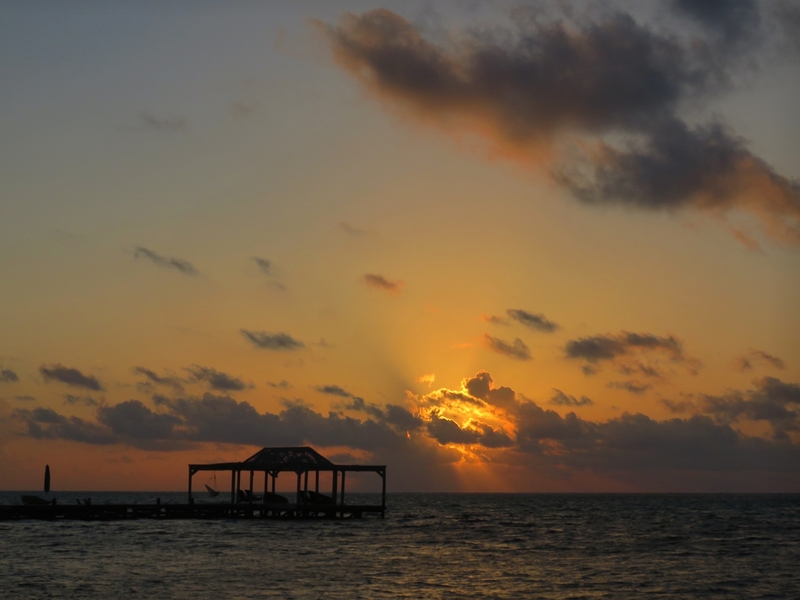 Ambergris Caye has SO much to offer and can keep you busy from morning until night. The food, the festivals, the people, the shopping, the aqua blue waters, the gorgeous barrier reef and wildlife – most people are quickly hooked. My one BIGGEST tip is to chat it up – with locals, with tourists…it’s a great way to find out what’s going on in town and the newest, hippest spots. But it’s your first visit…and with only a few days or a week, where to start? Here is a check list – a mix of fun, adventure and…chocolate – that will make the most of your time on the island. 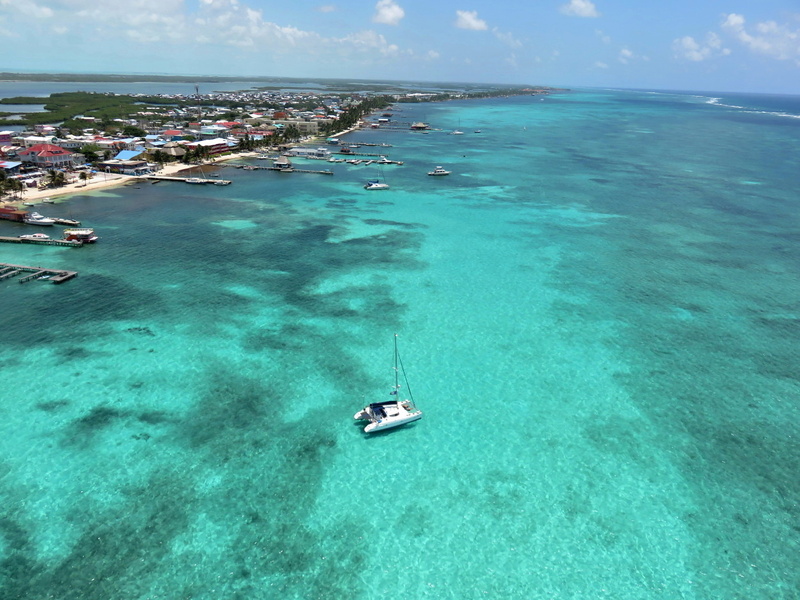 And give you a real feel for what living on Belize’s largest island is like. 2. Eat breakfast at everyone’s favorite spot, Estel’s Dine by the Sea. Open at 6am for fishermen and divers, they serve the best breakfast in town. Banana pancakes, your feet in the sand and…this view. No matter what you have…you MUST eat the fry jacks. Critical. The first stop is a beautiful cut along the barrier reef with coral, turtles and countless colorful fish. Stop 2 is…well…a bit more exciting. At the north end of town is the iconic Palapa Bar. Paddle in one of the inner tubes in one of the clearest swimming holes in town. The Belize Chocolate Company makes gorgeous world-class chocolate right here on the island – all from Belizean cacao. Pop into their shop & cafe, cool off with a milk shake, taste their chocolates (may I suggest the salted chocolate covered caramels?) 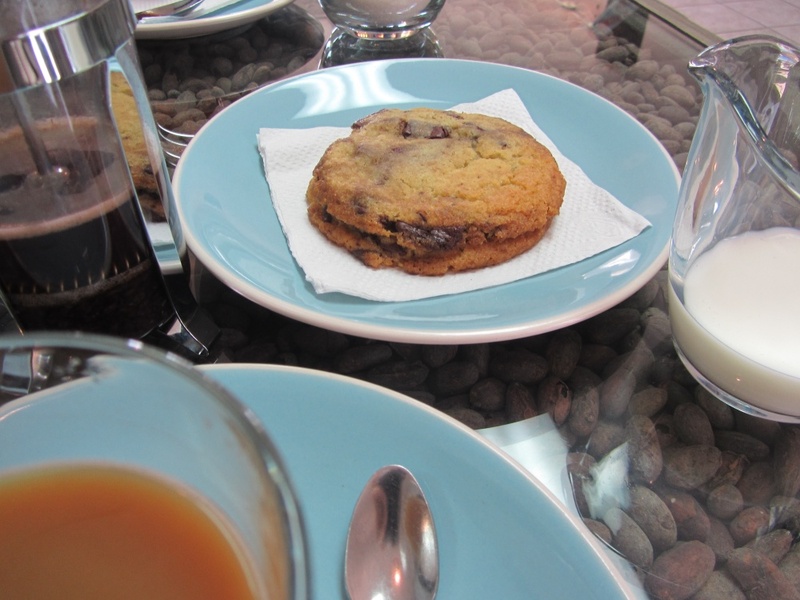 or sit and enjoy a dessert and some chocolate tea. 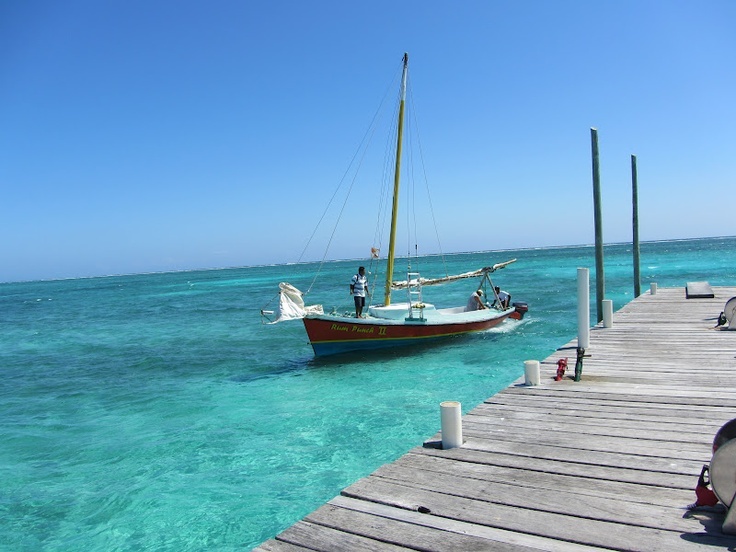 Whether on an old school Belizean style fishing boat or a larger catamaran, it’s a great way to get LOTS of sun, snorkel at Hol Chan Marine Reserve and Shark Ray Alley, lunch on Caye Caulker (our uber-cute neighboring island) and do it all in one day. YOLO, a power catamaran, is another GREAT option. They do a killer trip to just chill in the crystal clear water at the southern end of the island. Shrimp, lobster, conch – pick your favorite – this simple dish is an island favorite. Seafood can not get any fresher. Just a few words of warning. That pretty orange stuff in the onion cup? That’s habanero – one of the hottest peppers in the world. Proceed with caution. 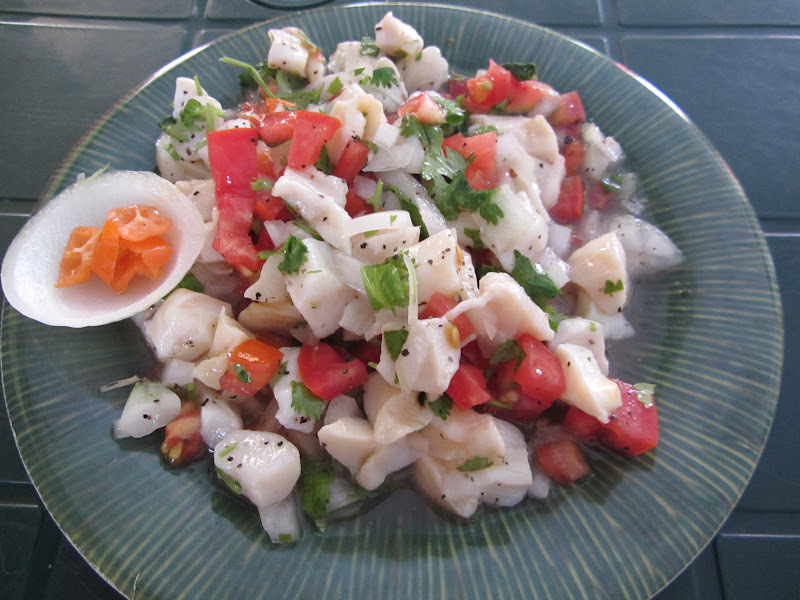 Really tasty classic ceviche can be found at Lily’s Treasure Chest or Hurricane’s Ceviche Bar. Belize is known for having the 2nd largest barrier reef in the world – and it’s absolutely gorgeous. 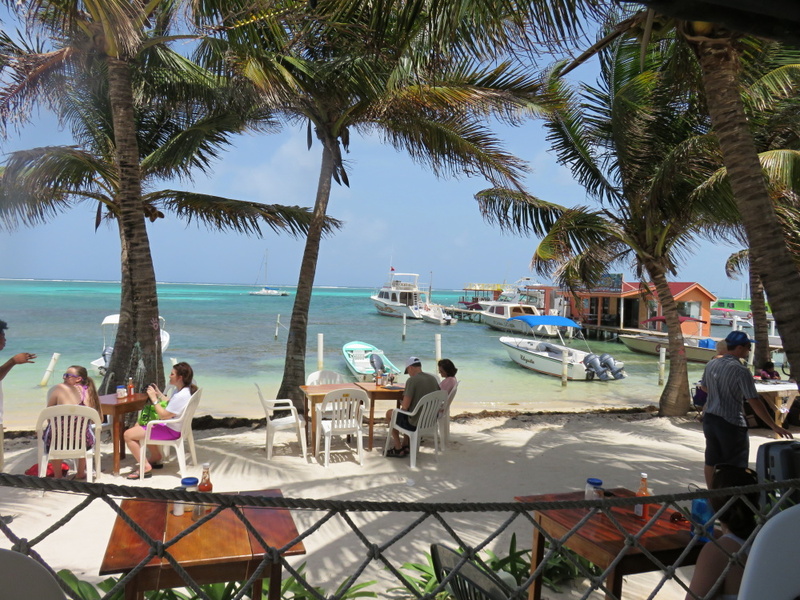 But the west side/the leeward side of Ambergris Caye is equally beautiful. 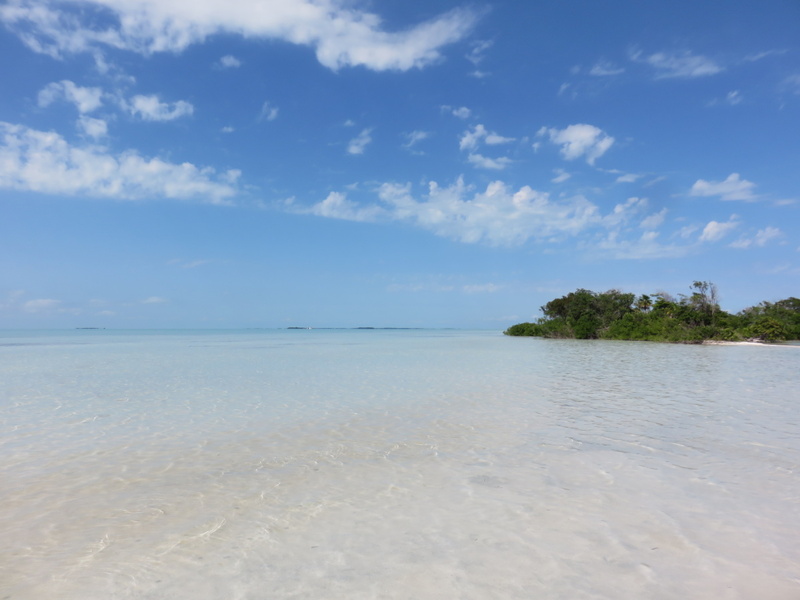 With clear shallow water, white sand beaches and tiny cayes, an afternoon spent on one of the sandbars here is…just spectacular. Chartering a boat to visit a sandbar is fantastic but you can also use your newly rented golf cart to pop across to Secret Beach. It’s growing fast – the word “secret” is said with a wink – but the views are spectacular. 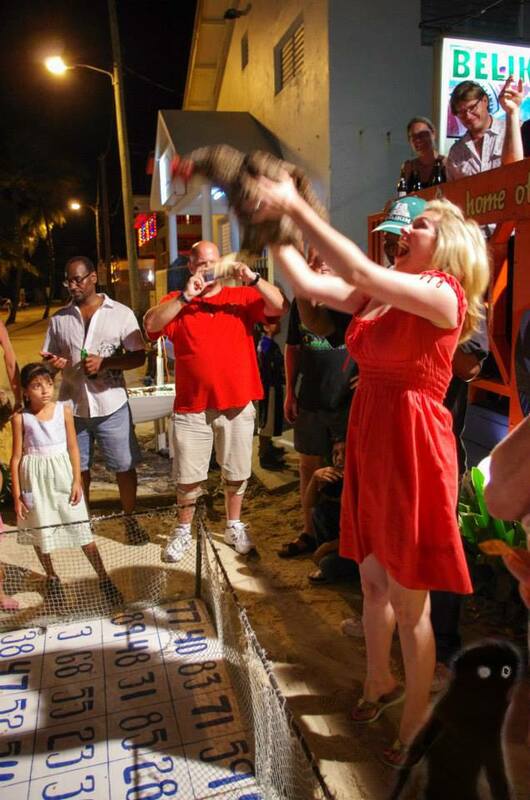 Each Thursday night, much of the town descends on Wahoo’s Bar for the Chicken Drop. Bet one Belize dollar, get a number and wait for the chicken to…make a deposit. Winner gets $100 and a napkin to clean up the mess. The chicken drop is a bit of a scene – and can be crowded, loud and a bit rowdy. If you’ve got small kids in tow or just like a more family friendly scene, check out Crazy Canuck’s Tuesday Hermit Crab races. For a list of fun ways things to do with kids on a budget – check out this list. It most certainly includes #11 – a kids’ paradise! One of the coolest spots on the island, the beer garden, ice cream shop, restaurants, funky bar and SPOT to take your photo by the beautiful Papo mural is just fantastic. Make sure to grab something to eat and wander back to the lagoon for the sunset. And try one of their fruit-infused drinks. Wednesday movie night under the stars is totally awesome…they also host a kids’ movie on Saturdays, game show nights, a monthly farmers’ market, holiday events…this place is awesome. 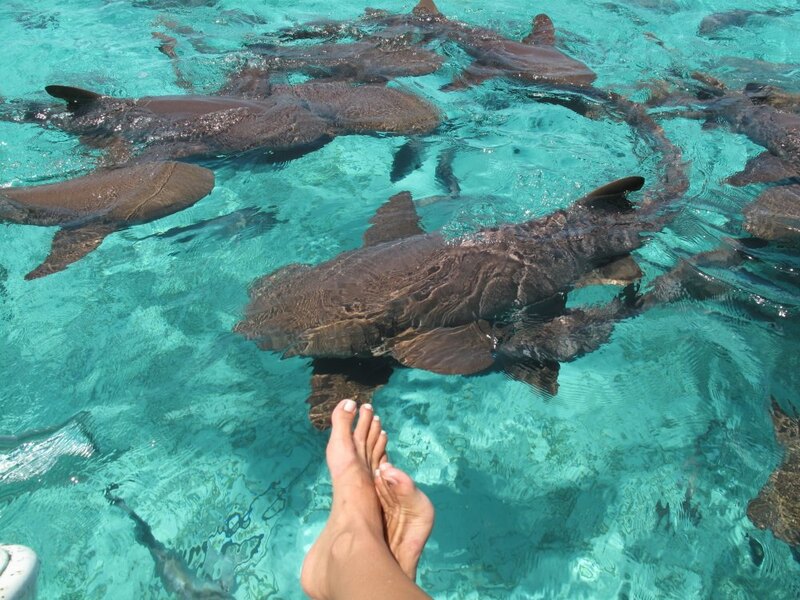 TOTALLY on the list of 11 Most Instagrammable Spots in Belize. If it’s your first time, I think this list will help you get started on your trip to San Pedro. There is more…much more…sushi Tuesday or Thursday dinner at Blue Water Grill…live music…the Maya Buffett at Elvi’s Kitchen…BINGO at the Lions Den…the walking eating tour with Belize Food Tours, you’ll find your own favorites pretty quickly. Whatever you do, where ever you go, be sure to talk to the locals and the expats who call this island their home. What’s your favorite bar? Your favorite spot to eat? Where do you go on the weekends? Everyone’s got an opinion – and most are pretty good. I’ve got 7 out of 11 so far, and still two days left…Chicken drop tonight! Just in time to plan our trip in December! Thanks to you and Southwest we are Belize bound!! the truck stop…. another business that ,shouldn’t be in a residential neighbourhood. Really? You never mentioned that before! BWHAHAHAHAHAHHAA. Give it up Canuck, you aint gonna win this one. i am absolutely sure, it wont be the last time. I’ll go ahead and mention the alcohol… Belikins at every beach bar you can from north of the bridge to as far south as your flip flops can take you, or at least to Sunday Fun Day at Canucks. And of course the local rum… The ice is filtered, limes are fresh. I agree! Have done all of the above. Love visiting Belize!! Hey Rebecca, another great post!! I have friends coming to San Pedro for the first time and wanted to recommend the food tour. Do you have contact info for that? Hi! Felipe at Belize Food Tours dot com. I see them around touring at least once a week for lunch – always stopping in my favorite deli finishing up their paletas. My first trip to Belize was in November and we managed to conquer 9/11 items on this list! We are coming back in December and can’t wait to continue exploring this gorgeous island! Hurray! 9 out of 11 is not shabby AT ALL!